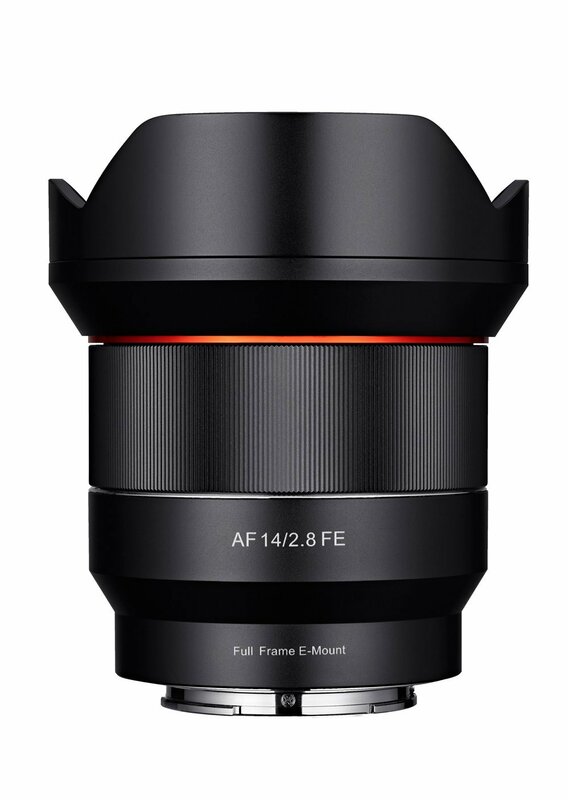 Wide Autofocus Lens for Full Frame Mirrorless Cameras Samyang AF 14/2.8 FE is specifically designed to work in harmony with full frame mirrorless cameras in Sony E mount. The flow of light is devised based on the uniqueness of the distance from glass to sensor in mirrorless cameras to create optimal performance. Along with portability of mirrorless lenses, the 14mm F2.8 is compatible with full frame sensors to deliver the wideness and sharpness of image to photographers. The 14mm F2.8 is the widest angle available in the market in its class, broadening the sight of photographers to capture the world. Based on Samyang Optics' exceptional optical technology, Ultra Multi Coating and three aspherical lenses have been included among 14 glasses in 10 groups to minimise aberration and unnecessary light dispersion, delivering high resolution from the centre to the corners of the image. This new product will be one of the first autofocus lenses in over 40 years of Samyang's class-leading core optics technologies. Samyang has captured the essence of world leading image technology with their manual focus lenses and reinterpreted it into autofocus lenses. Photographers now can enjoy the prime manual lens image quality and autofocus lens. Samyang AF 14/2.8 FE is compatible with both phase detect and contrast detect sensors to operate fast and accurate focus detection. The 86mm of maximum diameter is also the result of years of RandD for best handling, by adding stability. Also the minimal and sleek design and metal-housing solidify the build quality with the internal focus system.